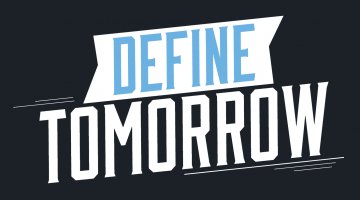 Every few years, the University of Maine Center for Community Inclusion and Disability Studies (CCIDS) recognizes individuals or organizations whose vision and leadership contribute to making the dream of inclusive communities a reality for individuals with disabilities and their families. The Daring to Dream Awards were initiated in 2002 as part of the Center’s 10th Anniversary celebration. The inaugural awards honored Dr. Patricia Morrissey, the late Dr. Allen Crocker, and the late University of Maine Associate Dean Emerita Elaine Gershman for their contributions in laying the foundation for the establishment of the Center. Since its inception, the Daring to Dream Award has always reflected the artistry and vision of Maine artisans with disabilities. 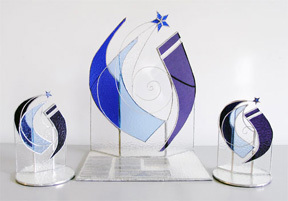 In 2002, local artist Lisa Raven designed a large commemorative stained glass display, and for several years, annually produced smaller reproductions for the individual awards. In 2012, the Center celebrated its 20th Anniversary with special awards that recognized individuals whose efforts made long-term and significant changes to enhancing the lives of individuals with disabilities in Maine. The 20th anniversary awards featured an original abstract painting by Spindleworks artist, Terri Snape. In 2015, the featured artist was Dakota Douglas, a member of the Cony High School [Augusta] Class of 2015. His freehand drawing, “Spring Mandella” was the winning submission in the 2015 Daring to Dream Award Artwork Competition sponsored by CCIDS. Public Policy Change: local, state, national and international analysis and action aimed at promoting public policy change to advance the civil rights of all people including those with disabilities. Scholarship: teaching, research, creative endeavors, and scholarly dissemination informing disability studies, policy and practice. Candidates in this category may be nominated for lifetime achievement or for a specific body of scholarly or creative work. Social Change: activity in local, state, national and international communities aimed at promoting social change to advance the civil rights of all people including those with disabilities. A fourth category, Advocacy, was added in 2012 to recognize vision and leadership in advocacy and action in local, state, national or international communities to advance the civil rights of all people including those with disabilities.